Oracle Off Campus Drive 2015 For Freshers – 5th February 2015. Oracle OFSS Off Campus For 2014 Batch Pass outs (BE, BTech, ME, MTech, MCA). Interested students can take online test through the link provided below. Only shortlisted students will be informed about the interview schedule. Test link is open only till 5th Feb 2015. We have Great Opportunity for 2014 Passout!!! 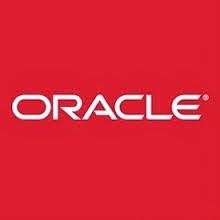 @ OFSS (Oracle Financial Services Software Ltd.) with our Development Group. As a team member he/she will be primarily responsible for the timely delivery of required quality code to address the product enhancement requirements. He/she will be required to write the business logic in any programming language, prepare comprehensive test unit plan to ensure complete code coverage & Integration Testing Support by closing the assigned testing errors within the stipulated time frame. Education 2014 (at first attempt): BTech / MTech/ MCA 2014 (CS/ CE/ IT/ EE/ E&C/ Instrumentation/ Mechanical/ Production/ Civil/ Chemical)- only from above listed colleges. Graduate/Postgraduate only from college list mentioned above. There should not be more than 1 year gap between Class XII and Undergraduate / Engineering or Undergraduate and MCA. All eligible students; who have not attempted OFSS Online Test & Interview earlier. Students looking for Better opportunity, who could not apply earlier on Campus due to one offer policy / acceptance of other offer. Apply or refer your 2014 Passout friends. Interested & eligible students can directly give the test (1 hr online test) on below link. But you need an invitation key to take this online test. Test Invitation Key : 187f9e9apraveen.